For picking mid September to early October. Raised at the National Fruit Trials by a cross between LaxIon Superb and Doyenne du Comice. 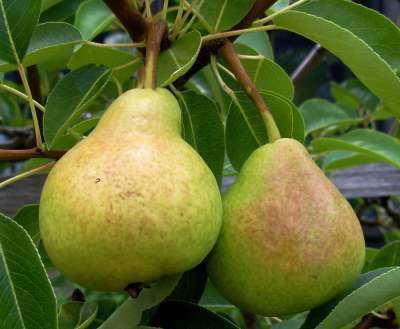 The medium to large fruits are yellowish green with variable patches of brown russet and a pinkish red flush. The flesh is creamy white, juicy and superbly melting with an excellent flavour. The trees are vigorous and upright spurring freely. Suitable pollinators are: Williams, Conference, Improved Fertility, Glou Morceau etc.